Community behavior is an important driver of an individual’s willingness to get vaccinated. This is according to a new study conducted by researchers from the University of Southern California Schaeffer Center for Health Policy & Economics and RAND. John Romley, Neeraj Sood and a colleague used rapid survey technology to survey Americans across the United States about their willingness to get a hypothetical Ebola vaccine and the effect of out-of-pocket costs and community vaccination rates on willingness during late 2014 when an Ebola epidemic was sweeping parts of the globe. “Ebola provided an interesting case study. We were able to survey the public in real time about their concern of getting the virus and their willingness to get a vaccine in the face of a possible public health threat,” explained Romley, associate professor at the Schaeffer Center and corresponding author on the study. 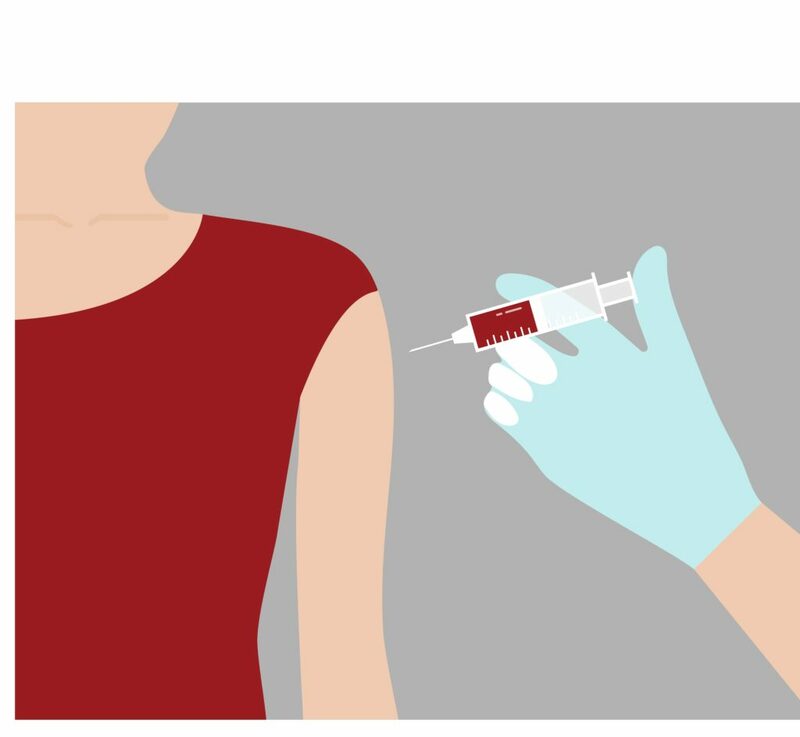 On average, across all survey scenarios (including community vaccination rates and out-of-pocket costs), 51 percent of respondents indicated a willingness to use a potential Ebola vaccine. Concern about getting Ebola was an important marker of willingness: 60 percent of concerned respondents would use the vaccine compared to about 35 percent of respondents who were not concerned. “We know that vaccination rates vary considerably across communities but it is still unclear what the cause of the variation is,” Neeraj Sood. “If we can better understand what is triggering someone to get a vaccine or not, that could have important implications for public policy and public health outreach campaigns.” Neeraj Sood is director of research and associate professor at the Schaeffer Center. Two public health models currently drive the conversation about vaccination behavior. One theory suggests that an individual rationalizes their benefit from a vaccine is reduced when they are in communities with higher vaccination rates because the risk of infection is lower, and thus the individual might be less likely to get vaccinated. Alternatively, a counter public health model posits since individuals have a tendency to conform to their peers, if their peers get the vaccine, they will be more likely to get the vaccine. To better decipher what the major driver of an individual’s wiliness to get vaccinated is, the researchers provided survey participants with background information about Ebola as well as the salient attributes of a hypothetical vaccine. Respondents were then presented with “low” and “high” rates of vaccination in their community (10 and 90 percent respectively) and asked their willingness to use the vaccine in each scenario. They found that people seem more willing to get vaccinated when those around them are also getting the vaccine. Survey respondents’ stated willingness to use the vaccine increased from 42.1 percent to 48 percent (a relative increase of 14 percent) as the community vaccination rate increased from 10 percent to 90 percent. The impact of the increase in community vaccination rate on reported utilization was on par with a nearly 50 percent reduction in out-of-pocket costs. In recent years, outbreaks of Ebola, Measles, and most recently the Zika virus have made headlines, elevating conversations about whether public health mandates for vaccines are justified for improved community safety. Public policies should take into account motivating factors for individuals. These findings give clear evidence that peer behavior is an important influence in an individual’s willingness to get a vaccine. “Our findings suggest policies and campaigns that engage the public in the promotion of vaccination- like social media campaigns- may be more cost effective than previously appreciated,” said Romley.